Downtown Petoskey has reinstated its partnership with the long-running Winter Carnival and will tap back into its roots with ice sculptures displayed on downtown sidewalks and in Pennsylvania Park! The Winter Carnival will celebrate its 91st year in 2019. Tour the downtown stores, and be treated to chocolate treats wherever you go! If you visit all of the participating stores, you can enter into the drawing for the Chocoholic Gift Basket. To participate, simply pick up a Stamp Book at the Downtown Office or at any participating store and start your chocolate tour! Join LTBHS for an entertaining evening of dueling pianos and dancing at Stafford's Perry Hotel on Friday, February 15 from 6-9 p.m.! There will be hors d'oeuvres, a cash bar and silent auction. This is will be a fun party for a great cause! Tickets are $50 each and are available here or by calling 231.347.2396. You'll be shivering from more than the winter temperatures by the time you finish this hour long tour of the haunted establishments in Downtown! This walking tour starts at the Perry Hotel (100 Lewis Street) and makes its way throughout Downtown. Tickets are $15 per person. Space is limited so reserve your tickets now by clicking below or calling Andi at 231-348-0388. Dress warm! Music from Lite 96.3 with DJ Tim Nixon, kids activities, games, LIVE Ice Carving and more! Have you wanted to build your own cardboard sled to compete in the Winter Sports Park Cardboard Sled challenge?! Well Petoskey District Library has you covered! Cardboard and all other essentials will be supplied. Make your cardboard sled here, then take it to the Winter Sports Park and register for the race! Made in Michigan Windmill Cookies, Walking Tacos (12pm-2pm while supplies last), in-store games, and Carlos Kissing Booth at Grandpa Shorter’s Gifts! Get a selfie with their store mascot, Carlos the Bear! A raffle to win a $100 J.W. Shorter and Son Gift Certificate, plus Snoozies are on sale for only $5 at J.W. Shorter & Son Mercantile. Color us happy! Bring the kiddos in and color a custom The Katydid coloring sheet to help decorate their window. Your artwork will be on display at The Katydid. 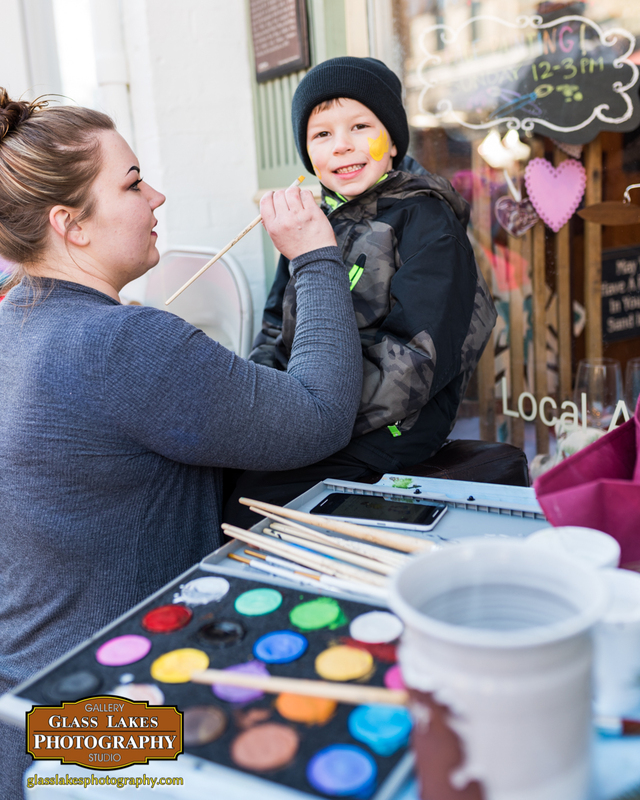 Downtown stores will host indoor activities for children! Grandpa Shorter’s Gifts, J.W. Shorter & Son Mercantile and The Katydid - cookies, coloring and games! 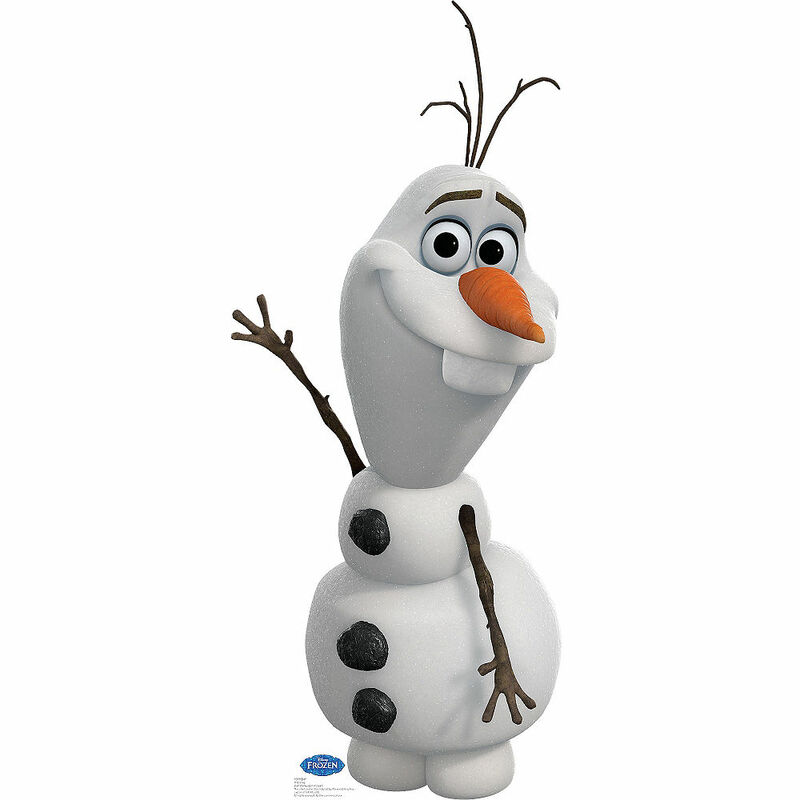 Search the stores for Olaf the Snowman! Once you find him in all of the participating stores, turn your Olaf stamp book into the downtown office by 4pm Sunday, February 17th for a chance to win win $100 in Downtown Dollars. Pick up an Olaf stamp book at the Downtown Office located at 216 Park ave or any participating store and start searching! Craig Ryan - Up to 50% off and new spring items arriving from Peter Millar and 34 Heritage!